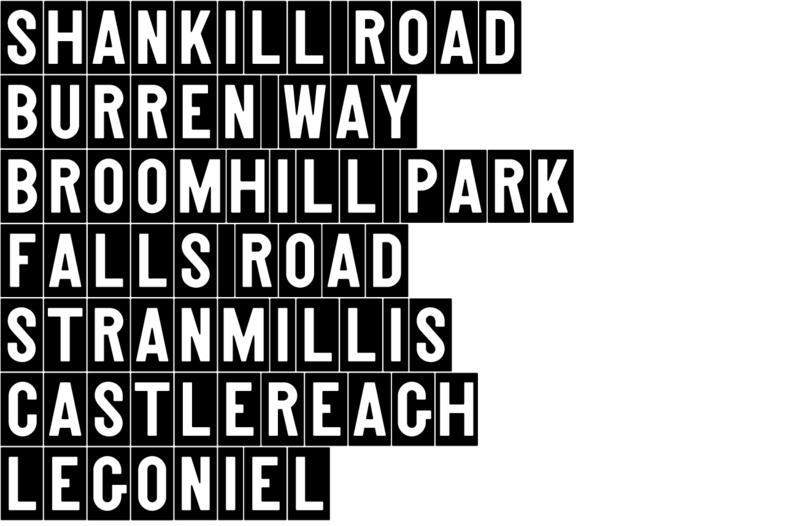 Belfast’s historic tiled street signage is familiar to many as a representation of the city’s unique character. Originally hand-made with poured clays, the signs were first commissioned by the Belfast Corporation during the late 19th century for use on major thoroughfares. John McMillan, Emeritus Professor of Graphic Design at Ulster University, first developed the idiosyncratic lettering into a digital alphabet in 2015 and soon afterwards began work on a matching gaelic typeform to facilitate bilingual usage. In 2018, he approached MuirMcNeil to develop his prototypes into a working type system. 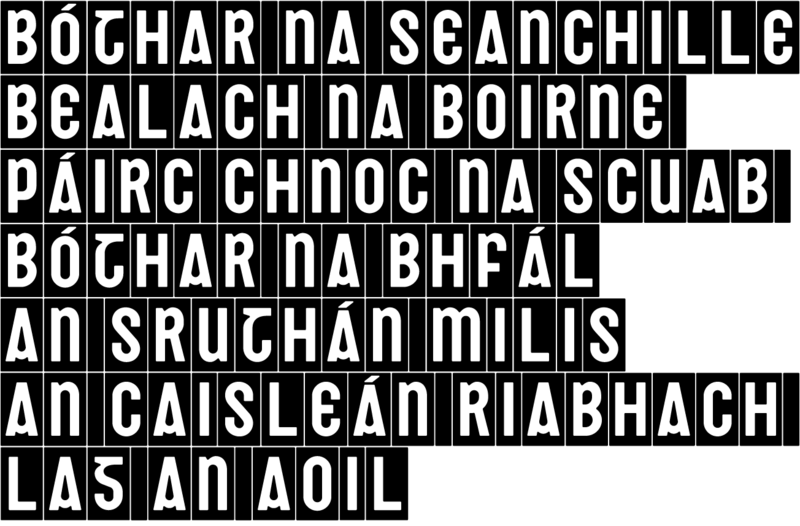 In addition to redefining contours, softening terminals and completing the standard latin and gaelic character sets in upper and lower case, MuirMcNeil added new cameo type families for both scripts that replicate the appearance of the original tiles. 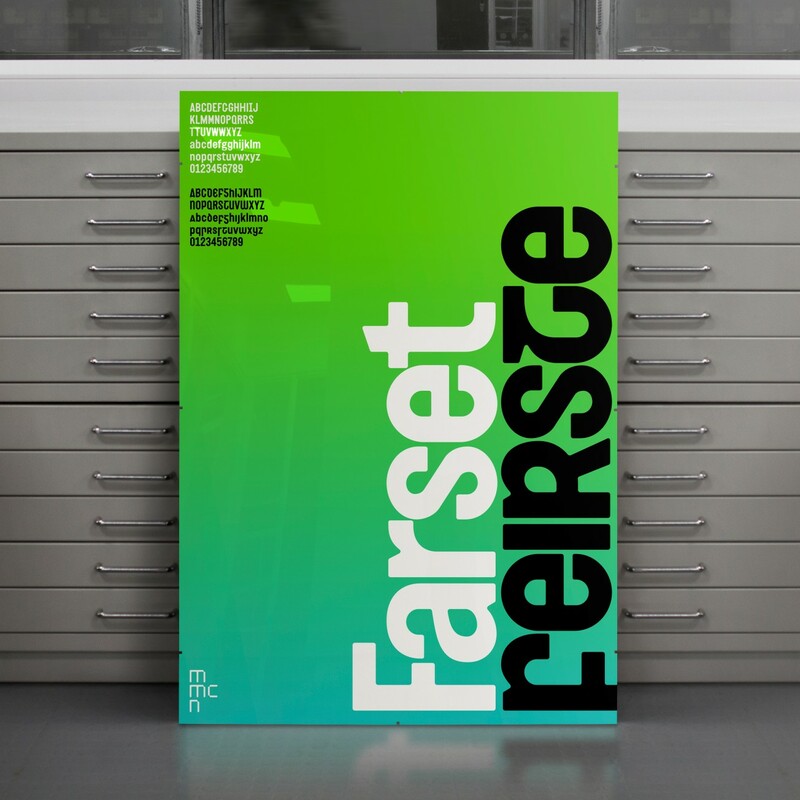 The typefaces are named in their respective languages to reflect their local identity. The gaelic version, Feirste, honours Belfast’s Irish name, Béal Feirste, (Béal meaning ‘rivermouth’ and ‘feirste’, a sandbar), while the latin version, Farset, adopts the name of the river that flows from the hills above the city to where Belfast was founded on a sandbar.